Sugar cookies. What is more traditional that a special cookie only made for a holiday? I really fell down on the job for making special goodies for Christmas, so my guilt has been egging me on to make sugar cookies for Valentine's Day. I know, not really a holiday where you get time off from work, but it was an excuse to make some cookies. I found a cute new heart shaped cookie cutter with a hot pink silicone edge-grippy-handle-type protrusion. I needed some new cookie cutters. And it was half price. 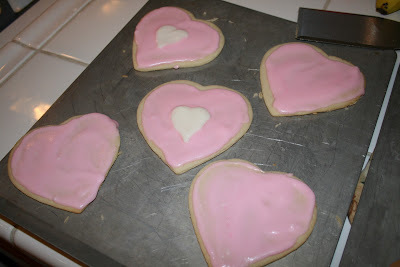 I only bought that one, but I saw a cute set with different size hearts, some were ruffly, scalloped edged hearts, too. Too cute, but I was able to resist. Lately, my son has been asking to help in the kitchen more and more. 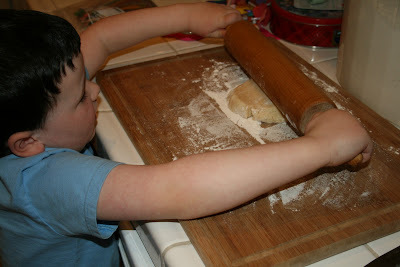 I made the cookie dough one night, letting him help measure ingredients and turn on the mixer. The dough rested in the fridge overnight, then he helped me roll it out. 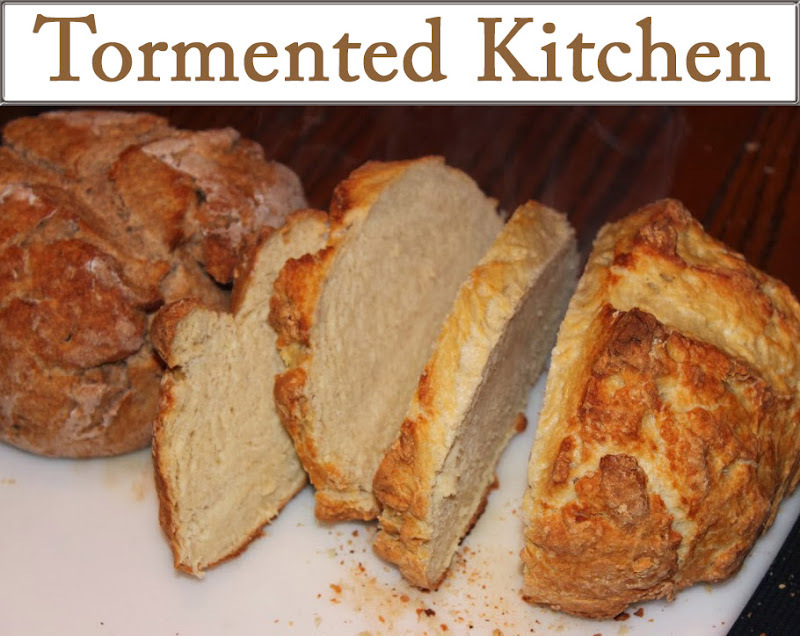 This particular recipe is tad on the dry side, so we had a few tears in the dough from just rolling it out. 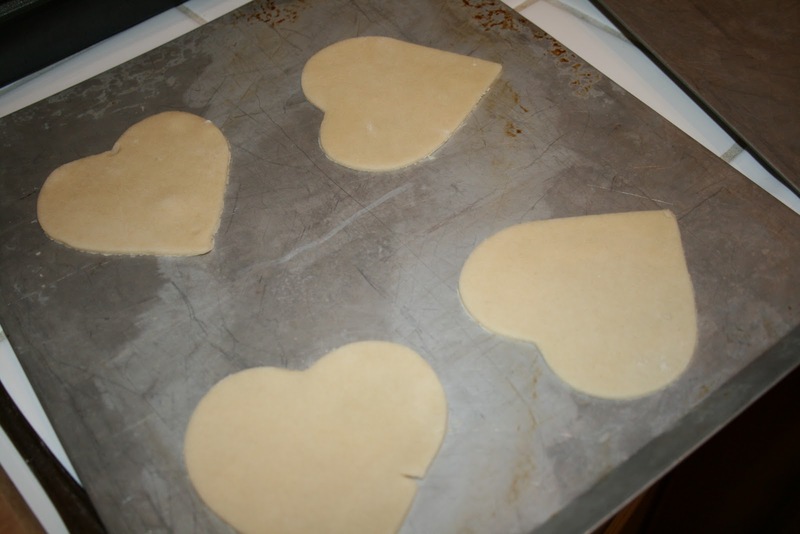 Eric helped with the heart-shaped cutter, and then I used a spatula to transfer them to the cookie sheets because they really wanted to fall apart. I divided the dough into two balls for rolling it out. The first set, I rolled a bit thin, but they baked up fast and browned well. My dad likes them that way. The second ball, Eric helped roll it so it was thicker, the 1/8" I recommend in the recipe below. They took slightly longer to cook, but didn't get as crisp. I like them better this way. 1. 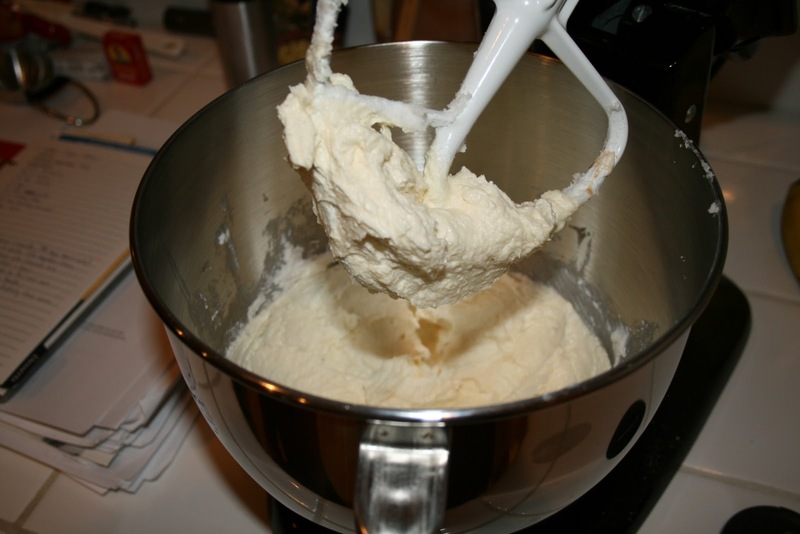 With an electric mixer, cream together shortening, sugar, and vanilla. 2. Add eggs. Beat until light and fluffy. Add the milk and beat until mixed in well. 3. 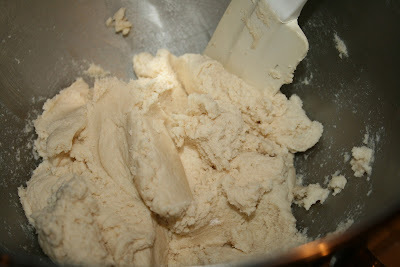 In a separate bowl, sift together flour, salt, and baking powder. 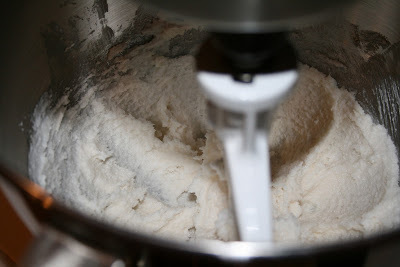 Blend flour mixture into the creamed mix. 5. Divide dough in half. 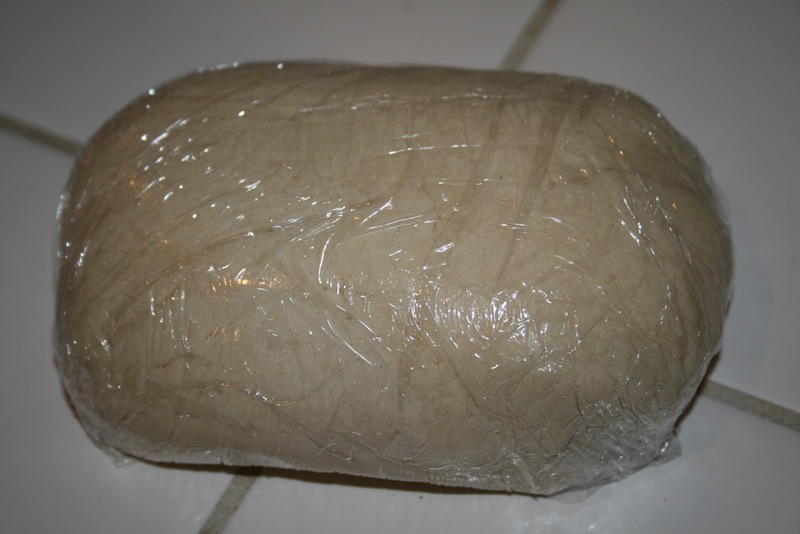 Cover it up in your bowl, or wrap it tightly with plastic wrap. Chill for at least 1 hour. I let this batch sit in the fridge overnight. 6. 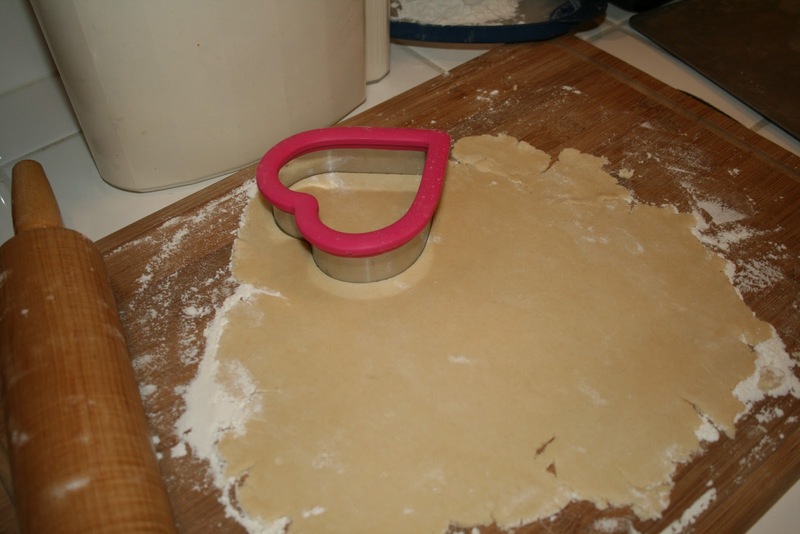 On a lightly floured surface, roll dough out to 1/8". Cut out shapes with cookie cutters. 8. Bake cookies on at 375F about 8-12 minutes. 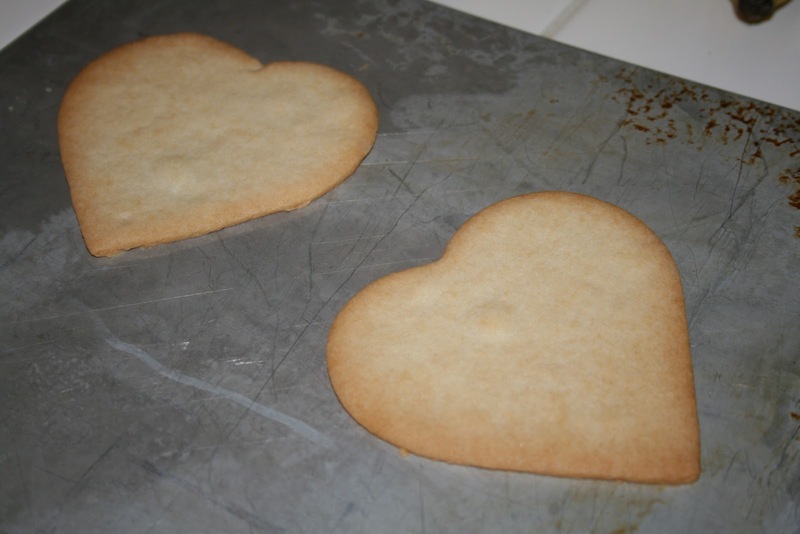 Thin cookies will take less, thick cookies will take slightly more. 9. Cool slightly on the sheet before transferring to a cooling rack to finish cooling. I like to make sure that they are firm before moving them so they don't sag and cool weird so they are uneven. 10. Frost/decorate with Cookie Icing.